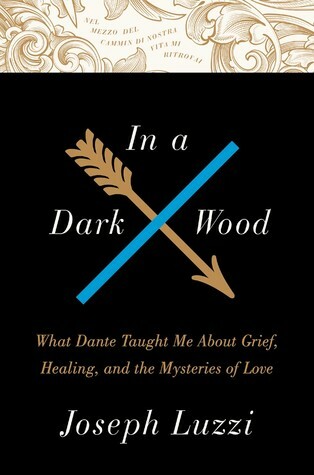 I am a memoir lover, so when I received an email offering In a Dark Wood: What Dante Taught Me About Grief, Healing and the Mysteries of Love by Joseph Luzzi for review, I was more than happy to volunteer to read it. Luzzi's wife was fatally injured in a car accident, and now he is a widower and first time father as his newborn daughter is delivered just forty-five minutes before his wife's death. Overcome with sorrow and grief, Luzzi, a professor and a Dante scholar turns to a piece of literature he knows a great deal about: Dante's Divine Comedy. Using what he knows about this writing, Luzzi is able to make sense of his own pain and suffering, dividing the various stages he encounters and likening them to Dante's Inferno, Purgatory and Paradise. Although I knew little about Dante and his writing, that was not a necessity to enjoy this memoir. I appreciated Luzzi's ability to share his grief and the path he took in finding a way to deal with his pain. I would classify this book as a memoir, but it is also an in depth look at a famous piece of literature. Thanks to TLC for providing a copy of In A Dark Wood. The opinions expressed are, as always, my own. I so appreciate reading about the ways others come through serious tragedies - it is always inspiring to me.